A report by Barclays says Canada's crude oil production last month is estimated to be the lowest it has been in almost two years. Canada's crude oil production in May is believed to have been the lowest it has been in almost two years. Investment bank Barclays says a "perfect storm" of events including wildfires and upgrader maintenance in Alberta are expected to have cut average national production to 3.98 million barrels of oil a day in May after peaking at an average of 4.59 million barrels a day in January. $100 oil: Will we ever see it again? Companies in the space like Royal Dutch Shell, Canadian Oil Sands and Suncor Energy have yet to release their official production estimates, but they are also in the midst of conducting or have already completed multi-week turnarounds at upgraders, which has taken even more oil out of the usual flow. 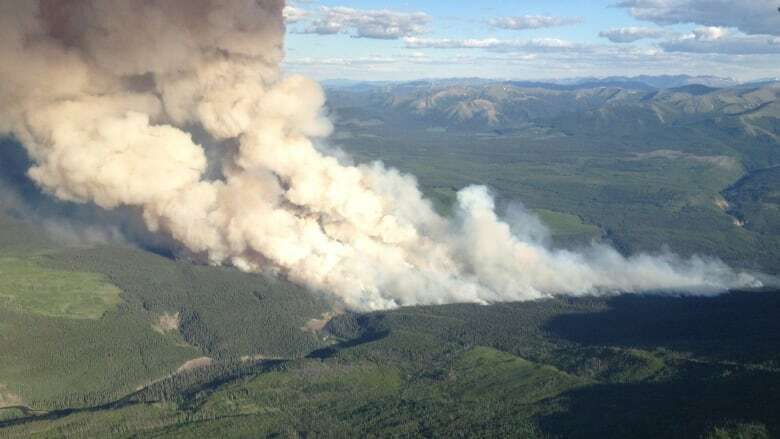 On May 23, a wildfire near Cold Lake in Alberta shut down an estimated 233,000 barrels a day of production from Cenovus Energy's Foster Creek project and Canadian Natural Resources' Primrose and Kirby South operations. As of Monday that production was still offline, with the fire spanning 31,000 hectares and still classified as out of control. The risk of news fires starting in the area has, however, been downgraded from extreme to moderate. The oil and gas industry represents almost seven per cent of Canada's economy, so there's a real risk that any further slowdown in oil could spread to the broader economy. "If we assume one week of lost production in May and another in June, and that none of the oil sands installations are destroyed by the blaze (the closest project to the wildfire is 2 kilometres away, others about 15-20 km away), monthly GDP for May and June would be reduced by about 0.0675 percentage points for both months," said Charles St.-Arnaud, an economist with investment bank Nomura. Looking more long term, Barclays estimates that since oil prices dropped producers have delayed a million barrels a day worth of projects that were expected online by 2030. Roughly 300,000 barrels a day of that production was expected to be online by 2020, but the bank now thinks that only 200,000 barrels a day of new production will be ready. The bank expects Canada's production to be above 4.5 million barrels a day by the end of the year as new projects come online.